I've missed blogging so much - my laptop has finally been fixed, and has stopped sounding like it is constantly coughing up phlegm. Ew. Bit of a shocker yesterday when our boss announced he's leaving to go home to Australia in November. It's a bit like The Office cliffhanger where we're all wondering who is going to take over. My money is on Jim Carey. For us I mean, not Dunder Mifflin. Hurhurhur. I've also managed to squeeze in yet another cheeky trip to London for three days with my best-friend, Sam. As much as I love going to events and meeting other bloggers, I've missed visiting museums and doing some much needed shopping. I'll save my photos for the next post, although you may have seen some of them on Tumblr. Anyhoo, onto my outfit from tonight. As you all know, last Sunday was Father's Day - and yesterday was Papi B's birthday, so this week has been all about him really! POINT OF FASHION: Happy birthday, Papi B! 1: I did my eye makeup properly for the first time in ages. 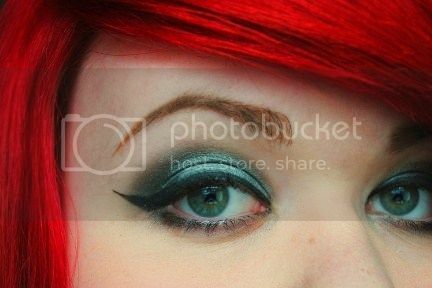 The greys and blacks are from my 120 Pro Palette (about £25 from Ebay), and the liner on my lower lid is a MAC shadestick, slightly smudged. My brow shadow is by Wet N' Wild. I use brushes from The Body Shop and No7. 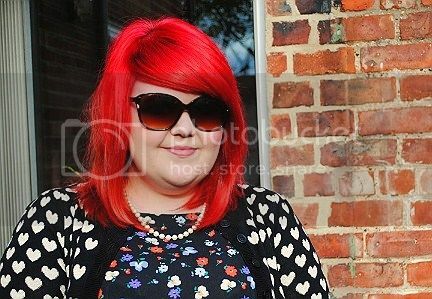 2: I found these pair of shades I bought recently in Dorothy Perkins hiding in my clutch! I love them! 3: My sister needs to stop being so bloody pretty. Isn't her kissy lips dress cool - it even looks a little like leopard print from a distance. 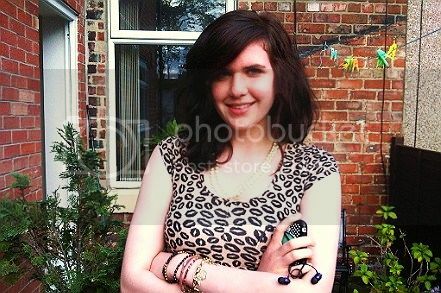 Nadia's just finished her AS Level exams, and has a new boyfriend with the coolest name ever - Padraig. 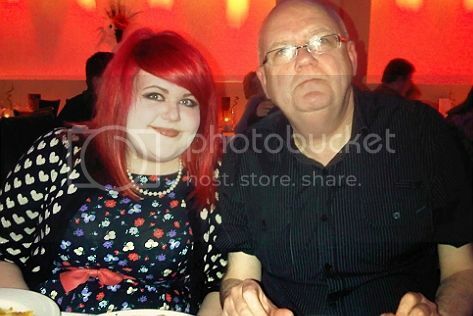 4: HAHA I love how dads almost always look miserable in photos! I inherited all my dad's genes look-wise - the doctors even called me 'Little George' when I was born! Once again, I can't promise to blog as regularly as I used to due to work - but as always I will try my very best. 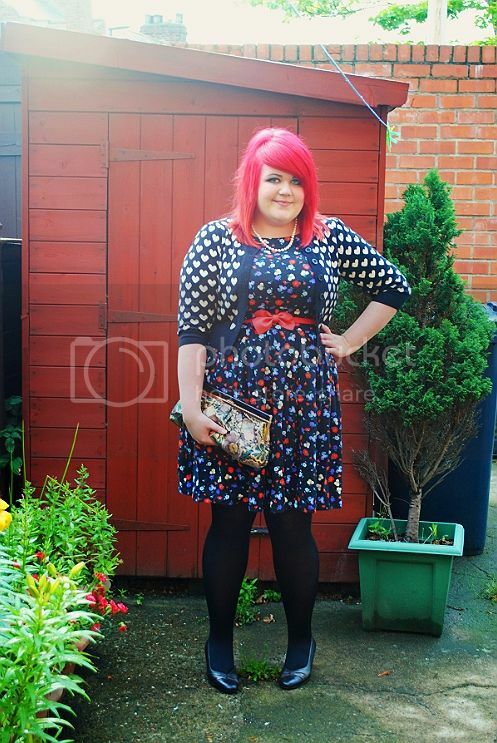 I'm always keeping up with my blog roll - I just need to get commenting more, again. Sorry! I've got all my London pictured ready to go though, so expect that post soon! In other news, this Saturday is the North East Bloggers Meet Up in Newcastle. Give Claire and Bryden's post a read for more details! Please let us know final numbers within the next few days. We have a few little surprises planned for you all, but we're keeping schtum until then. SO EXCITED!! AND FINALLY, I'm going to leave you the new video from my favourite band, The Vines. It's my favourite of their videos in YEARS. I like how they look like they're having a laugh and not taking themselves too seriously. Sometimes they come across a little pretentious in print interviews, and they're not really at all!